I have been horrible about getting over here and updating my site lately, but in my defense, I’ve had a lot of stuff going on in my life since July and haven’t had the time to even think about this kind of thing. To smooth things over into the new month, I’m going to take a few moments to update you guys on my current writing projects and where everything stands as of right now. Here’s my list of Current Projects. This should give readers some idea of what’s in the pipeline and what will (hopefully) be released someday. This also explains why I’m so erratic when it comes to posting and being active, both here and on my assorted social media sites. A busy author means a distracted author! The Becoming Series, Book 5. Zombie fiction / post-apocalyptic thriller. The direct continuation of The Becoming: Under Siege. With the loss of their new lives, Cade and her companions are forced to try to pick up the pieces and go in search of a member of the group that has gone missing. Status: Completed, turned in to publisher. Publication date, September 2015. The Becoming Series, Book 6. Zombie fiction / post-apocalyptic thriller. This one picks up where Descent will leave off. Cade et al have the opportunity to save the world. I can’t say much more about this one until Descent is in the wild for readers to indulge in. The Becoming Series, Book 6.5. Zombie fiction / post-apocalyptic thriller. Jude and Sadie O’Dell’s story. Status: In the idea / outline sketching stages. The Unnaturals Series, Book 1. Urban fantasy / covert-ops thriller. 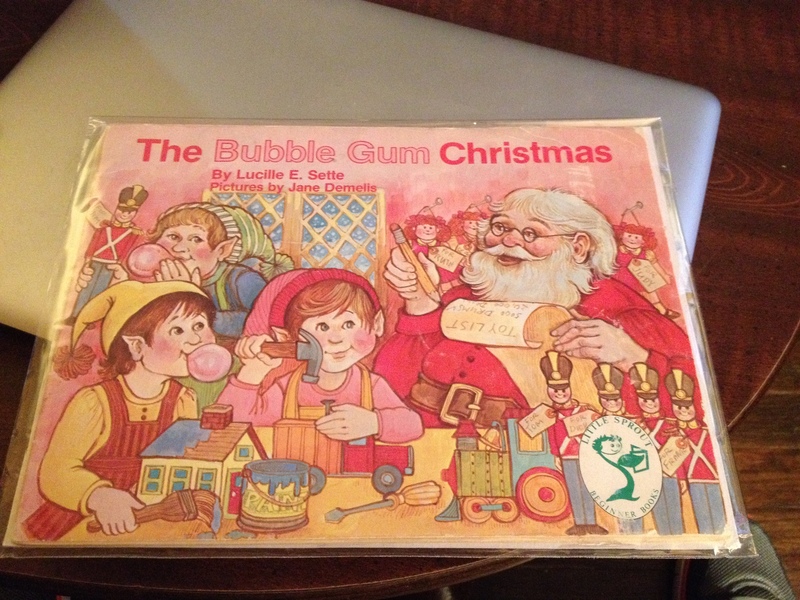 The first book in the series. Two special agents are transferred to a sector of the US government that investigates supernatural activity and get more than they bargained for. Status: Completed, turned in to publisher. Publication date, November 2015. The Unnaturals Series, Book 2. Urban fantasy / covert-ops thriller. Sequel to The Unnaturals. After the events of the first novel, Riley Walker is forced to go on the run as forces stronger than her make her destruction their goal. The Agency Series, Book 1. Urban fantasy / covert-ops thriller. First book in a prequel series to The Unnaturals. Nightfall tells how Zachariah and Ashton met and how The Unnaturals was formed. The Deadening, Part 1. Serialized Novel. Horror / historical western. In an 1868 silver mining town, the sheriff, a schoolteacher, and an outlaw team up to protect the town’s citizens from a mysterious outbreak of violence. Standalone novel. Horror / pandemic fiction / post-apocalyptic. A small town is turned completely upside down when an Ebola outbreak begins to spread through their town and the military quarantines them. Ladies and gents, I am very, very, VERY excited to announce that I have signed a contract with Permuted Press for them to publish The Unnaturals Series! What’s The Unnaturals Series, you ask? For those of you who have been loitering around for a while and remember the long-ago days of 2012, it’s my urban fantasy/covert-ops/horror series! I originally self-published a version of the first book, titled The Unnaturals, back in I think September 2012, and I sold 300-some copies before I removed it from sale in late November 2012 to do some rewrites and start the submission process to publishers. 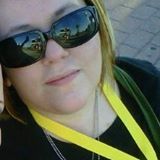 Shortly afterward, I got an agent, who loved the book and helped make it even better, and after some work, we got it placed at Permuted Press, who really truly did make the best offer out of the ones we did get. Riley Walker is one of the world’s best covert operatives, employed by a top-secret sector of the U.S. government known only as the Agency. Highly skilled and lethal in a fight, Riley is fiercely independent and adamant that she work alone after the mysterious death of her partner in an assignment gone wrong. All that changes when she’s thrust onto a new assignment investigating the deaths of twenty-seven Agency operatives. Forced to work with twelve-year Agency veteran Scott Hunter—a stickler for following orders and a loner by nature—Riley doesn’t get a chance to protest before she and her new partner are passed to a sector of the Agency that they never knew existed: The Unnaturals. There, they meet Ashton Miller and Zachariah Lawrence—one the Director of The Unnaturals, the other the group’s top field agent—and learn of the existence of creatures out of their wildest dreams: Vampires. Demons. Werewolves. And even more. And it’s up to them to prevent these creatures from harming humanity and taking over the world. But then everything goes horribly wrong when Riley and Scott are attacked by vampires and Zachariah is taken. As Riley and Scott race the clock to track down the one weapon that is capable of killing the powerful vampires, they uncover a web of lies from the unlikeliest of sources in the Agency, one that they never saw coming and aren’t sure they can survive. I am really freakin’ excited to get this series out there and in the hands of readers. It’s been stewing in my brain in some way, shape, or form since early 2012, and I think it’s ready to get out! So who’s looking forward to the new series? Here’s my list of Current Projects, updated from my last post in mid-March. This should give readers some idea of what’s in the pipeline and what will (hopefully) be released someday. This also explains why I’m so erratic when it comes to posting and being active, both here and on my assorted social media sites. A busy author means a distracted author! Status: Outline written, awaiting Descent’s completion. Status: Completed, status update pending. The Unnaturals Series, Book 0.5. Urban fantasy / covert-ops thriller. Prequel to The Unnaturals. Nightfall is a three-part book that tells how Zachariah and Ashton met and how The Unnaturals was formed. Standalone novel. Horror / zombie fiction / post-apocalyptic. Side novel in The Becoming Series. An EMT travels from Tuscaloosa, Alabama, to her hometown in the midst of a zombie outbreak in a desperate attempt to reunite with her family. Status: Outlining / planning stages. The Unnaturals Series. Short story. Urban fantasy / covert-ops thriller. Riley and Scott are tasked with finding a way to rid a family’s residence of a particularly vicious poltergeist. Status: outlined, pending writing this fall for a Creative Writing project. Yes, you read that right, folks! 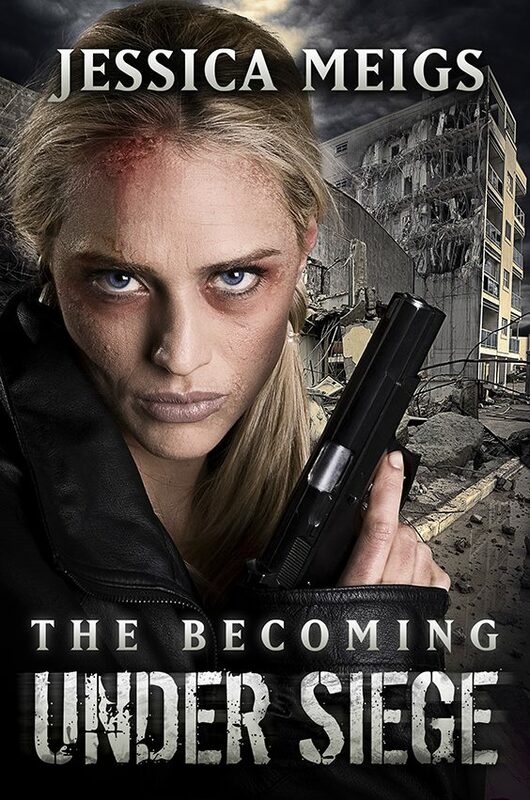 The Becoming: Under Siege, book four in The Becoming Series, is now available for purchase from major e-Retailers! It has been almost two years since the Michaluk Virus outbreak began, and Remy Angellette has helped her friends establish Woodside, a walled-in community of survivors in South Carolina. But underneath the veneer of simplicity of their day-to-day lives, not all is as it seems. Dr. Derek Rivers, a former CDC scientist who was involved in the virus’s testing, has come close to a cure for the virus, and he’s used it to cure Ethan Bennett—who promptly begins to show strange side-effects from the cure. Despite her pleas, Derek delays giving the cure to Remy, who has found herself beginning to dance a fine line between sanity and madness as the virus continues its relentless attack on her brain. When Dominic Jackson smuggles Remy out of the community on a supply run and brings back a set of twins that they’ve rescued, hundreds upon hundreds of infected follow them back to Woodside. Within hours, the community is besieged by the infected, who attack the main gates and slowly begin to surround the community. Desperate to get the cure and all the information about it out of Woodside before the infected get in, two members of the community pack the doctor’s samples and notes and slip out of Woodside to search for a still-operational CDC facility—but not before Remy steals a dose of the cure and injects herself with it. As the community’s gates collapse under the assault from the other side, one of the community’s members manages to get in touch with the military, begging them for assistance before they all end up dead. But will they be able to survive until the military shows up to help them—or will they end up dead at the hands of the infected after nearly two years of survival? Want to purchase The Becoming: Under Siege? …and you can click RIGHT HERE to buy a Nookbook copy from Barnes & Noble! Other retailers, such as Kobo and iTunes, will be available soon! In celebration of the release of The Becoming: Under Siege, I’ve marked down the price of The Becoming: Origins from $4.99 to $2.99 for the entire month of April! So be sure to grab your copy at the lower price while you can! You can pick up your discounted copy of The Becoming: Origins from Amazon by clicking here. And you can grab your copy from Barnes & Noble by clicking on this link. I used to offer some editing services, but I’ve recently scaled it back to proofreading services. I thought I’d post a notice to all indie authors and publishers that I’m now offering proofreading services for their manuscripts at a very low rate of $2.00 per 1,000 words. You can find more information about the service and how it works by clicking here. 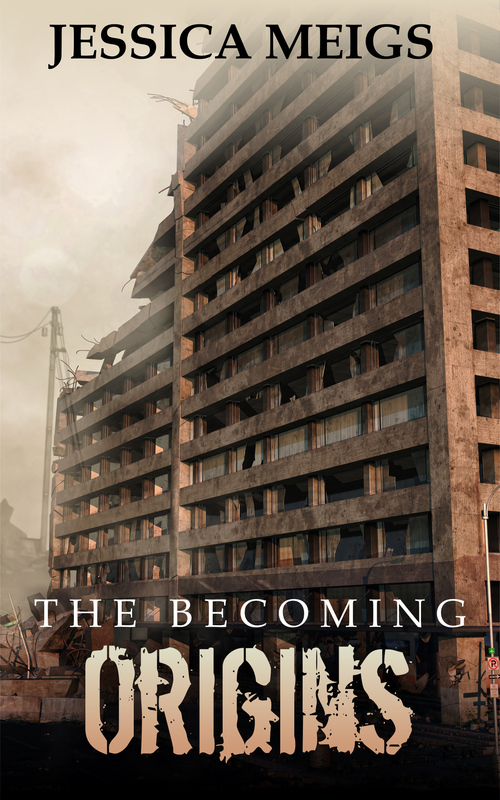 The Becoming: Origins is now available for purchase through Amazon! Other retailers, including Amazon, coming shortly. Read below to find out more information and to get your copy! Interested in purchasing The Becoming: Origins from Amazon? Click here to check out the product page and purchase your own copy! Want to buy it from Barnes & Noble instead? Click here to purchase it from B&N!